Do you avoid lifting your arms because of embarrassing sweat stains? If you’ve tried prescription medications and antiperspirants, but still have excessive sweating, it may be time to try something else. The PrecisionTx laser uses advanced technology to safely destroy the underarm sweat glands and stop excessive underarm sweating. How Does Excessive Sweating Treatment Work? Unlike antiperspirants or deodorants that try to cover up sweating, PrecisionTx laser treatments stop sweating before it can embarrass you. The procedure is minimally invasive and uses powerful laser energy to safely destroy the sweat glands. The PrecisionTx stops the underarm sweat glands from functioning, meaning you never have to deal with embarrassing sweat stains again. With no follow-up treatments needed, it is easy to see why laser axillary gland ablation has satisfied patients who have tried everything else to reduce excessive armpit sweat. After just one hour-long treatment, you will experience lasting results. A local anesthetic is used to help alleviate discomfort during the laser application. The procedure has few side effects. After treatment, patients may experience some soreness in the area, but can typically resume their normal activities with minimal downtime. 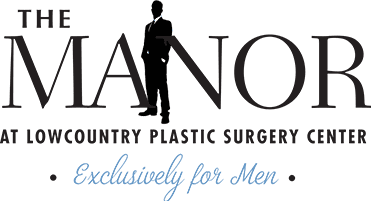 If you want to stop being embarrassed by excessive underarm sweating, contact The Manor at Lowcountry Plastic Surgery Center to schedule a consultation today!